Fill That Cup! | The girl who loved to write about life. The biggest thing I have been learning (so far!) in 2019 is about filling my cup. There are things in life that fill your cup and there are things that don't. There are people who fill your cup and there are people who don't. When you put it that way, it should be easy, right? But alas, this is the real world, where we have very real obligations and responsibilities. 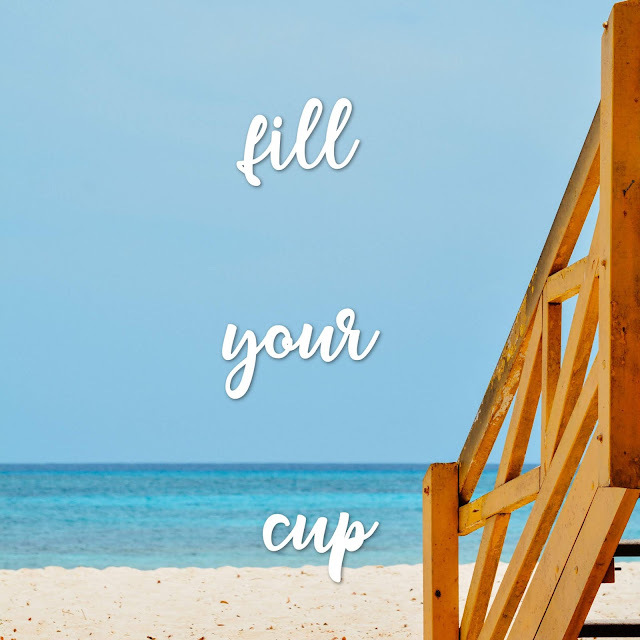 We can't just Marie Kondo away our jobs and responsibilities and mortgages (this doesn't bring me joy, BYE), so it's super important to be intentional about filling your cup. Are all of these things paying my bills? No. Are they all technically productive? Nope. Are they making me a happier version of myself? YES. And that's just so important. I might know next to nothing about your life, but I bet if I guessed that a good portion of it was full of doing things for other people and responsibilities that were draining, I'd be right. So take things into your own hands. Don't wait for someone else to fill your cup. Your cup is gonna run low sometimes. That's life. Pay attention to what makes you happy, what brings you peace, what leaves you feeling refreshed. Then do those things, because you care about yourself. You deserve a full cup. It's as simple as that.